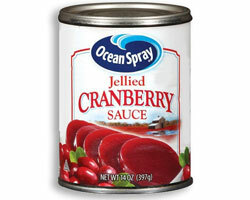 Preparing a healthy Thanksgiving dinner this year means putting away the can opener, says the Breast Cancer Fund. Their new study, “BPA in Thanksgiving Canned Food,” sheds light on a hidden danger lurking in popular Thanksgiving Day canned foods: the chemical Bisphenol-A (BPA). BPA is used as a barrier between the can’s metal lining and the food to prevent bacterial contamination. But BPA not only lines canned food, it leaches into the food itself, putting consumers at risk of health defects linked to the toxin, including breast and prostate cancer, infertility, type-2 diabetes, obesity, attention deficit hyperactivity disorder, and hormonal imbalances such as those tied to early puberty in girls. For the study, the Breast Cancer Fund and partner organizations visited grocery outlets in California, Massachusetts, New York and Minnesota and purchased four cans of each of these common Thanksgiving staples: Campbell’s Cream of Mushroom Soup, Campbell’s Turkey Gravy, Carnation Evaporated Milk (by Nestle), Del Monte Fresh Cut Sweet Corn (Cream Style), Green Giant Cut Green Beans (by General Mills), Libby’s Pumpkin (by Nestle) and Ocean Spray Jellied Cranberry Sauce. All cans were purchased well within their printed “best if used by” dates. The cans were then sent to Anresco Laboratories, an independent testing laboratory in San Francisco, where they were assessed for BPA levels using Gas Chromatography-Mass Spectrometry. Lab results revealed that BPA levels in each can greatly varied from non-detectable to 221 parts per billion, indicating that there is tremendous variability of BPA levels among cans of the same product made by the same company. In response to these findings, the Breast Cancer Fund’s report concluded that consumers have no way of assessing BPA levels, therefore a Thanksgiving Day host serving turkey and mashed potatoes with canned gravy, a canned green bean casserole and pumpkin pie made with canned pumpkin could be delivering a “concerning chemical dose” of BPA to holiday diners. “How many more Thanksgivings will families have to worry about this uninvited guest before manufacturers finally decide to take it out of cans?” asks Jeanne Rizzo, president and CEO of the Breast Cancer Fund. Alternatives to BPA that are risk-free and non-hormone-disrupting do exist. The company Eden Organic has used oleoresinous c-enamel, a non-toxic mixture of oil and resin extracted from plants like pine and balsam fir, as a BPA alternative in their cans of beans and chili since 1999. According to the Ball Corporation, Eden Organic is the only U.S. food maker to date to use this BPA-free alternative, which costs 14% more than the industry standard cans that do contain BPA. Eden also recently began selling their tomatoes in jars, since the Food and Drug Administration has yet to approve any non-BPA can lining for highly acidic foods. Though the jar’s lids have BPA present in the first applied coating, a second protective sealant is BPA-free and isolates the first coating from coming into contact with the jar’s contents. Breast Cancer Fund’s Cans Not Cancer campaign is asking companies considering making the switch to alternative liners to be transparent about their replacement choices, so that they may be studied and proven safe. They also support pending Congressional legislation authored by Representative Edward Markey (D-Mass.) that would ban BPA from all food and beverage containers including canned foods.